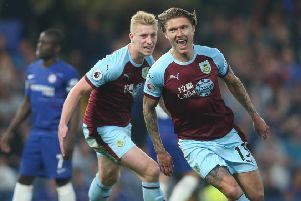 Clarets pair Nick Pope and James Tarkowski are both expected to be confirmed in Gareth Southgate’s England squad at 2 p.m. It is a first call up for the duo, for friendly games against Holland and Italy. Southgate has been at Burnley’s last two home games, and assistant Steve Holland took in the 3-0 win at West Ham on Saturday. Pope has 10 Premier League clean sheets so far this season, while Burnley have only conceded 17 goals in Tarkowski’s 23 appearances this term.